The powell Flight decks hit the scene late 2016 I believe. So I am a bit late to the party, part of this is due to just how tough these decks really are. I picked up an 8.25 “ Scott Decenzo Flight deck Mid-late September and skated it pretty much every day for at least a half hour. 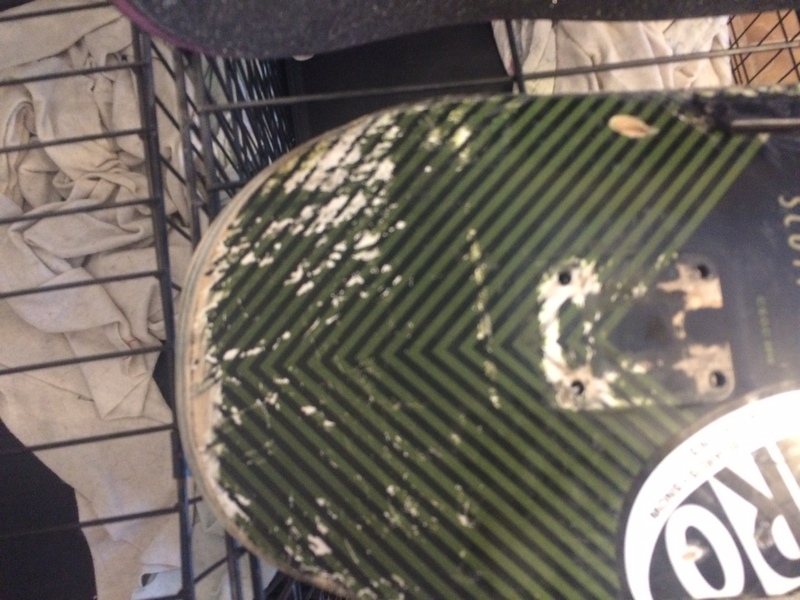 But in total this deck is 7 months old and suffered 6 months of skating. 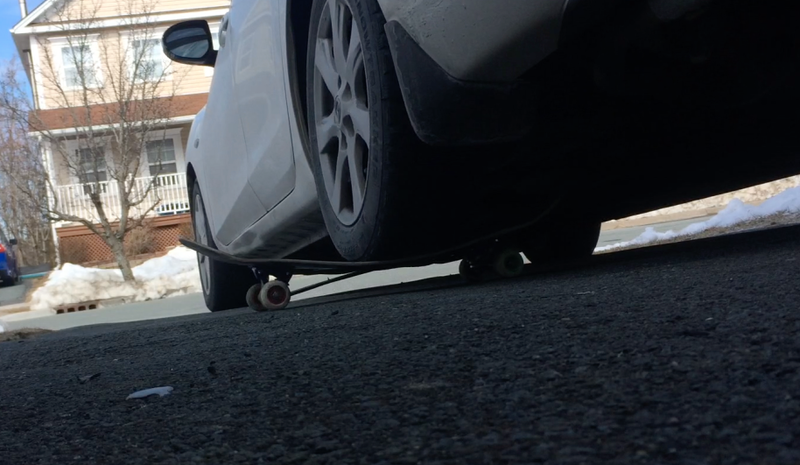 This photo was Taken March 19th 2018, the board isnt breaking, but what you might see is one of the rails hanging popping off. Before breaking down the pros and cons, Ill also clarify that Im 6’2 and 245 lbs. 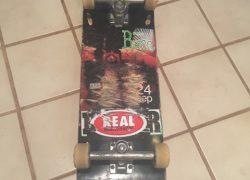 Fairly heavy for a skater, decks normally either break or start to lose their pop by about 3 months for me. Pop/Feel – These decks have terrific pop, but they do take time to adjust to. This isn’t really a bad thing, but they’re so light and thin, it’s sort of triply to ride one. 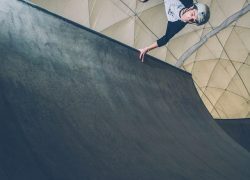 You might not be ollieing at your max height right out the gate, but give it an hour and it shouldn’t be an issue. These boards are about as thick as an iPhone 5. Because they are thin, even after razor tailing they pop pretty well. Durability – Everyone knows you can run these boards over and they’re still good. But What you might have also noticed is that when powell runs the board over, it’s always a freshy. I ran mine over with a 2010 mazda 3 after 6 months of use, bare in mind, by this point the board did have some de-laming and some chipping. To my surprise, the board held up fine. I was actually expecting the board to break… but it didn’t. I rode the board for 3 more sessions, and it would still board slide just fine. By this point the board was fairly flexible though and was beginning to lose its pop. It’s worth pointing out that Powell Peralta officially state that “boards are meant to be skated, not driven over” So realistically, don’t run your board over. 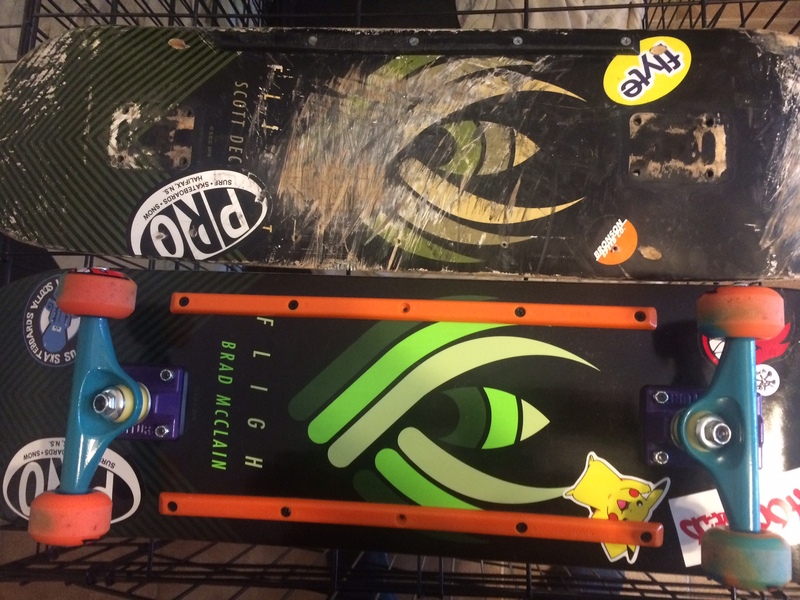 I dunno if this is the case or not, but I do find that these decks razor tail slower than other boards. Maybe it’s just me, or maybe that 2nd layer of carbon fibre helps. by 6 monthsthe deck was chipping severely and I kept getting splinters in my hand. Despite the increased flexibility, the board was technically still fine. Thats about 40% more than a pro model and twice the price of a blank. That being said, I still recommend it. These decks last about twice as long as standard wood, perhaps even longer if you take good care of it. I put my First Flight deck through hell, it’s been run over and drenched more than once. I also skated frequently in Subzero temperatures, which isn’t good for wood. Flight decks are becoming more available now, but small/local shops are probably reluctant to carry such a pricey piece of equipment. I have 2 local shops, one just doesnt carry them, and the other only ever has 2 or 3 at most. If you ask your shop owner to bring one in on the next order, I’m sure he/she will. Shops are more likely to Carry a P2 or Impact board. How do they stack up to Dwindle Impact lights/plus or P2s? This makes a massive difference. You can focus a dwindle impact or a p2. 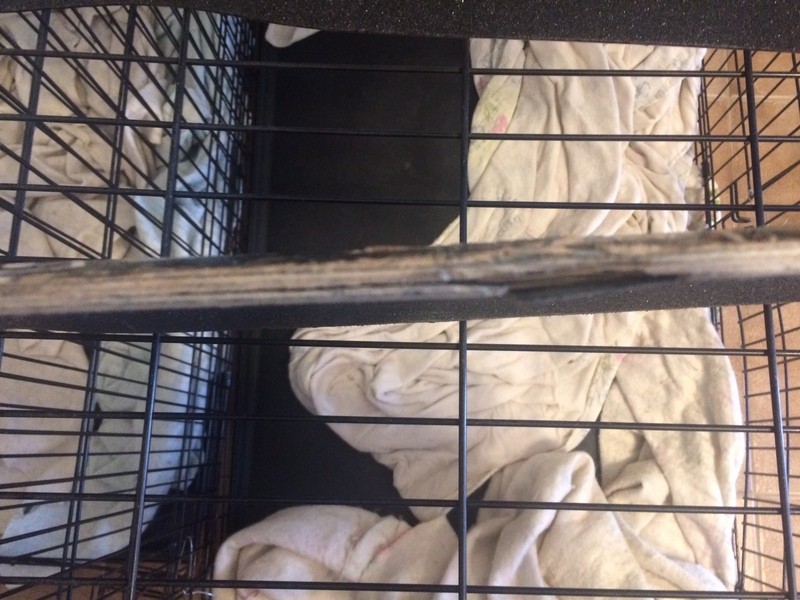 With enough force, the wood will detach from the carbon fibre and crack. If this happens the board is done. Where as with a flight deck, if you focus it, at best the bottom layer of wood may crack but the board will spring back to its normal shape and remain very strong and very usable. Dwindle impacts and P2s cost less however, and realistically I think both are great options. Dwindle impacts and P2s don’t last as long as flight decks, but the price difference makes up for it. What about Almost Uber Lights? These boards are really light but they aren’t any stronger than standard wood imho. They use carbon fibre foam (CFF) which is different from what Impacts, flight decks and P2s use. CFF makes the boards super stiff, too stiff in fact. Admittedly I was very excited with what Lithe had to offer, but that excitement wained. Ill clarify I haven’t used one yet, But Lithe has 2 huge obstacles to overcome before any recommendations. 1 – They’re Unknown– These are just 2 indies making boards, they presently have no Pros endorsing them. So it’s tough to say if these boards are worth buying. When I check their website, I don’t get the impression that they’re looking to sponsor anyone either. This might hurt them long term. 2 – Price – Lithe boards cost 269.99 US to pre order, and 299.99 to buy. I don’t at all think they’re trying to gouge their customers, I think they lack the resources to produce em cheap. I don’t hold the price against them, but for 300$…. Im sorry that’s just too high presently. I really feel like I was a bit hard on Lithe, it’s not that I have anything against them and I have nothing but respect for what theyre trying to do. I think their best bet is to sell the technology to a distributor like NHS, or Dwindle who could probably mass produce and get that price point lower. Edit: I forgot to mention, lithe uses carbon fibre in pretty much the same way that Flight decks do, the key difference (besides manufacturer) is that Lithe has a proprietary “shell” that prevents chipping on the edges of the deck.